Adult learning experiences are good for the mind, body and soul! According to Harvard Medical School, “scientists have found that brainy activities stimulate new connections between nerve cells and may even help the brain generate new cells, developing neurological ‘plasticity’ and building up a functional reserve that provides a hedge against future cell loss. Any mentally stimulating activity should help to build up your brain. Read, take courses…” Ohav has just the ticket for you to do this with our Lifelong Learning options! Hebrew Boot Camp: Get in Shape! 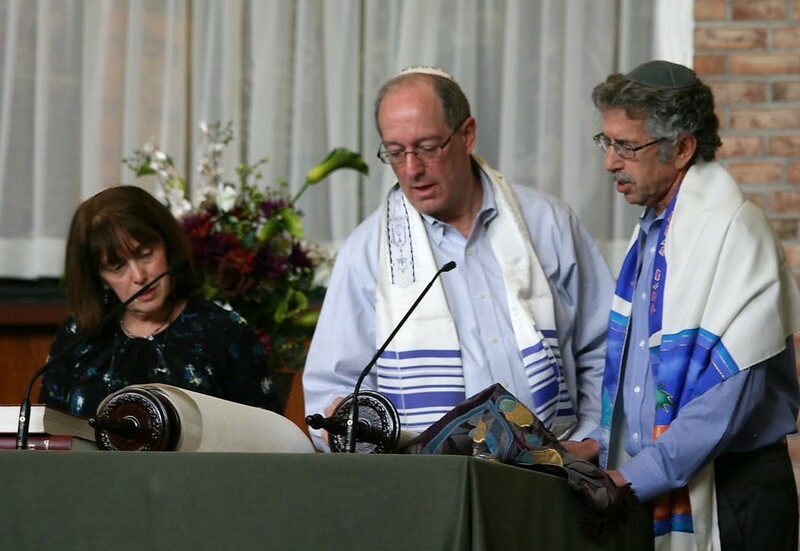 Many Voices: Ta Sh’ma (Come and Hear) – Judaism evolves and remains strong through its honoring of different perspectives, and through our core value of respect for all people regardless of differences. This class, which started on 11/8, is studying classic Jewish texts that explore the foundations of Jewish pluralism. Knowledge of Hebrew and previous text experience are not required. In the Fever of Love: A Song of Songs Journey – A heart-centered exploration of the Biblical book of Shir Hashirim, led by Lynna Schaefer. Using the book “In the Fever of Love” by Rabbi Shefa Gold as our text, we will dive into the chant(s) from each chapter, allowing the song to become embodied. Sessions will ​conclude just before Passover, when the Song of Songs is chanted in the synagogue. We will culminate our study with Kabbalat Shabbat on Friday night, May 17, when we will welcome Shabbat with chant. Study Talmud… the great text of Jewish tradition – Join us for this text exploration and skill-building class. No prior knowledge of Hebrew or Talmud necessary. Please bring a copy of the Schottenstein Babylonian Talmud, Tractate – Brakhot, Volume 2. Note: Everyone is welcome at all sessions offered above. The Monday evening sessions will cover different material than the material covered in the Monday morning sessions. No need to purchase the Talmud volume for the evening class. Important: When we hold an evening class, there will be NO morning class that day. You may register for all sessions, a mix of both, only morning sessions OR only evening sessions. Hebrew Boot Camp: Get in Shape! – Hebrew reading instruction for beginners, and “drill” for those who want to enhance their fluency, especially in the Hebrew of prayer. Six intensive sessions will be held throughout the year. Students will be paired with a study partner for practice between sessions. Coordinator: Rabbi Rena Kieval, with various additional instructors Thursday evenings, 6-8:30 pm with light dinner provided for an optional charge. When: Continuing on 1/24, 3/7, 4/11, 5/23. Registration: Advance registration is greatly appreciated to assist us with planning. Lovers of Torah Study Group: Torah L’Shma – Please join us on alternate Wednesdays from 7:30 pm to 9:30 pm for adult, peer-led study and discussion about the weekly Torah portion, focused on how the Torah’s message is relevant for us today. Contact the Ohav Shalom Office for more information.